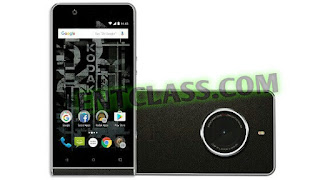 Kodak has launched yet another smartphone called Kodak Ektra, after releasing Kodak IM5 with no success. Kodak Ektra is tagged a photography smartphone. It's the first photography phone from the company, as it packs 21MP rear camera and 13MP front facing camera for the selfie lovers. Kodak Ektra comes running on Android 6.0 Marshmallow out of the box, packs a 3GB of RAM + 32GB internal storage and a Fingerprint scanner. Kodak says that the Ektra includes a handpicked studio of powerful applications, making it more than just a powerful camera but a mobile studio in the hands of people who care about quality photography. There isn't alot of information available about the Kodak Ektra yet, kindly see below for what I could gather .